Cathy Harbick is a Broker Associate with First Colorado Land Office. A New England native, she was born in Massachusetts and grew up in Pittsfield, a small town in Western Massachusetts. After earning a business degree and her real estate license in Massachusetts, she moved to Colorado in 1987 and has made Chaffee County her home since 2004. She has extensive experience in owning and operating businesses throughout Colorado most of which have been in the lodging and hospitality industry. At present, she owns and operates along with her husband and two sons, Arrowhead Point Campground & Cabins in Buena Vista making this their 14th year in operation. Her values of hard work, honesty, and integrity underpin everything that First Colorado Land Office stands behind. Cathy is active in the community as a Buena Vista Chamber Member, and served a two year term as a Chamber Director. 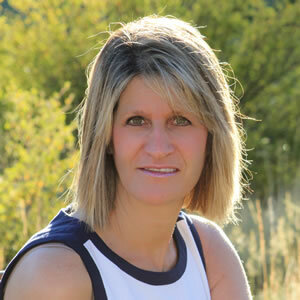 She is active at the state and national level in the campground and hospitality industry, serving a two year term on the Council of Delegates with the National Association of RV Parks & Campgrounds as a voice for the State of Colorado. She currently sits on the Board as a Director for Colorado Campground & Lodging Association at the state level. Cathy is passionate about the outdoors and enjoys outdoor time hiking and running. Contact Cathy for all of your real estate needs.